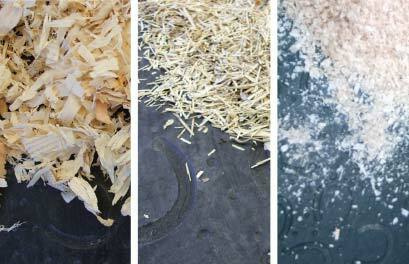 BELMONDO® horse stable mats are made out of solid, vulcanised rubber. They are not porous and do not absorb any moisture. Despite good interlocking puzzle pieces, remaining liquid / urine could seep into the seams. To bind fluids, hence, a small amount of absorbent bedding is always required. The requirements depend on the bedding type, the individual behaviour of the horse and the stable climate. 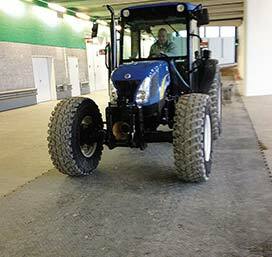 BELMONDO® horse stable floorings can be treated with a high-pressure cleaner, as well as with standard cleaning agents. Because no glue or screws are used to install these handy single mats, they can simply be lifted or removed for cleaning and just put back into place again afterwards. BELMONDO® horse stable mats (except Kingsize Duo, Walkway, Kingsize) can be driven on with standard equipment such as farm yard loader or tractor with authorized pneumatic tyres at the recommended inflation pressure up to max. 2.5 bar. BELMONDO® Step can be driven on up to a slope of max. 10 %.